Astrid is the Executive Director and co-founder of Adoption Mosaic. She has worked in adoptions since the early 1990’s. 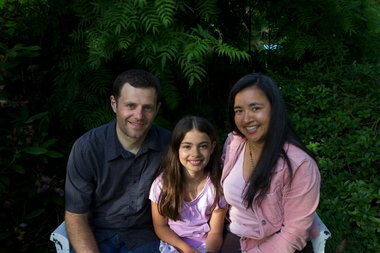 Her life-long interest in adoption is rooted in her own adoption at the age of four with her older sister from Colombia. How often have you gone to a theater and unexpectedly found yourself watching a movie that was “dripping” with adoption (like the ones listed below)? How many times have you left the theater with questions about the film and how it addressed adoption? This is an opportunity to watch some of these films with other adoptees followed by a facilitated discussion focused on adoption. Adoption Mosaic’s Tween/Teen Movie Group seeks to create a collective space where adoptees can learn from each other, build community, and find support. This Adoptee Tween/Teen Movie Group is being offered for the first time EVER! Sign up today for this group which begins October 2013. For details review our cancellation policy. Adoption Mosaic is a non-profit 501c3 organization founded by those touched by adoption to offer support, education and resources for the adoption community. Adoption Mosaic is not associated with any adoption agency, nor does it make recommendations about agencies or specific types of adoption. We value diversity, openness and honesty in adoption. From left, Paolo, Maya and Astrid Dabbeni enjoy a summer evening in their Mt. Tabor back yard. Carmenza Castro brought her daughters to Bucaramanga, Colombia. Last December, Astrid Dabbeni, executive director of the Portland nonprofit Adoption Mosaic, stood with her husband and daughter on a hotel balcony overlooking Bucaramanga, a sprawling city of 1.2 million in the Colombian Andes. “How,” she remembers asking aloud, “does somebody find somebody in a city like this?” She wondered specifically how to begin looking for the birth mother who gave her and her sister up – or so she believed – 36 years ago, when the girls were 4 and 5 years old, altering the course of her life and many others. Carmenza worked cleaning restaurants at night. Yet, with no one to watch her children, her only choice was to conceal Astrid, a newborn, and Maria, about 11/2, under a park bench. On breaks, she’d sneak out, check on the girls and return to her job. Carmenza’s story – as much as Astrid has unearthed – seems to fit a pattern of vulnerability and corruption tracked over decades by those who study international and transracial adoptions. The global adoption movement’s roots reach into the years after World War II, when North Americans grew increasingly aware that armed conflicts, refugee migrations, famine and other disasters left many children without families, according to The Adoption History Project at the University of Oregon. Plus, wherever U.S. soldiers and sailors went, mixed-race children were left behind, often stigmatized and unwanted. 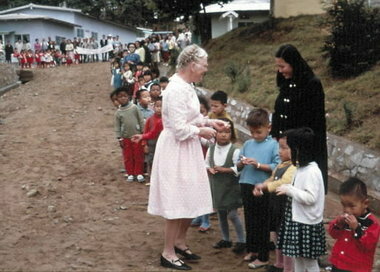 Courtesy of Holt International – Bertha Holt visits children at a Korean care center built by her husband, Harry. Western religious groups and others pushed to find such children homes in the United States and Western Europe. Oregonians Bertha and Henry Holt, who in 1955 adopted eight Korean war orphans, and who founded the organization now known as Holt International Children’s Services, were at the movement’s leading edge. In many Latin American countries, children without parents, or whose parents were unable to care for them, had traditionally been raised by other family members, friends or neighbors in an informal adoption system. But in the ’70s and ’80s, with the help of agencies and the blessing of governments, the international adoption market shifted its focus there. In the 1980s and perhaps earlier, Colombia became one of the world’s top sources, with thousands of children shipped to adoptive families in the United States. What welcoming parents seldom knew was that many of those children had been put up for adoption without their birth parents’ knowledge or permission. Many had been kidnapped by strangers or sold by acquaintances. In 1974, that described Carmenza. 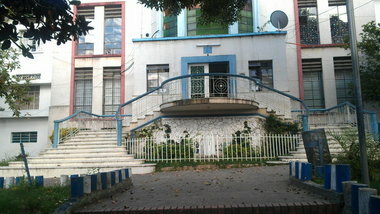 One of the Colombian orphanages where Astrid and Maria stayed. Astrid, who was 4, recalls little of Colombia. Her memory doesn’t differentiate between the two orphanages where she and Maria lived between October 1974 and February 1975, first in Bucaramanga, then in Bogotá. The girls didn’t know it, but they’d apparently been sold or otherwise delivered into a system that supplied children for international adoptions. Yet, she says, she does recall one night when she and Maria were separated into different dormitories because of their ages. As the orphanage grew dark and quiet, Maria sneaked into Astrid’s room. Thrilled to see her, Astrid greeted her big sister enthusiastically only to be firmly shushed. Maria never had scolded her before. Maria climbed beneath Astrid’s crib and spent the night there, curled up on the floor beneath the only family she had left, her little sister. 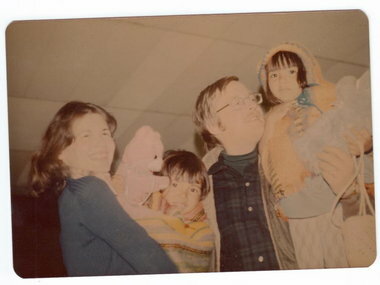 Chris and Norm Reynolds sent Teddy bears to Astrid and Maria in Colombia. 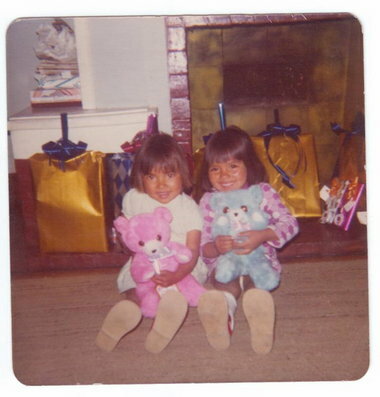 The first time Chris and Norm Reynolds saw photos of darling, dark-haired sisters awaiting adoption they fell in love with Astrid and Maria. The couple tried to conceive for a decade and spent three years investigating adoption before going with a reputable, established agency. In their Massachusetts suburb, neighbors grew excited as the sisters’ arrival neared; some even took Spanish lessons so they’d be able to communicate with the new kids on the block. At the time, the Reynoldses didn’t have access to the sort of assistance and education that their daughter’s organization, Portland’s Adoption Mosaic, offers adoptees, adoptive families, birth parents and others touched by such relationships, smoothing the path for all. They simply opened their home and their hearts. Finally, on Feb. 9, 1975, the girls’ plane touched down in Boston. Accompanied by a social worker, they stepped off wearing woven ponchos over their dresses and carrying straw purses brimming with bags of airline peanuts they’d collected from passengers willing to share the wealth. Adoption officials told the Reynoldses that the girls were 3 and 4, while actually, they were 4 and 61/2, their birth certificates falsified. They weighed a scant 25 pounds apiece. Astrid was outgoing. Maria was shy, reserved and always protective of her little sister. “Both of them called us Mommy and Daddy right away, which was quite a surprise” remembers Chris Reynolds, now of Littleton, Colo. Meanwhile, in Bucarmanga, Carmenza was frantic. She didn’t know whether Astrid and Maria were nearby or far away, that they’d gone to an orphanage or been adopted. She didn’t know whether they were alive or dead. Her daughters later learned that when they turned up missing, their birth mother didn’t go to police, fearing the authorities might force her to return to the girls’ father or punish her for taking Astrid and Maria. Carmenza did, however, spend every peso she had hiring a private investigator to find the girls. She suffered a breakdown and was hospitalized. Carmenza wouldn’t learn for more than three decades what became of her daughters. Chris Reynolds, left, says Astrid and Maria adapted easily to their new life. “We’d say, ‘Yeah, we could work that out,'” Chris Reynolds recalls. The couple adopted the sisters from Colombia in 1975, when they were 4 and 6 1/2, though because their birth certificates were falsified, they thought they were 3 and 4. 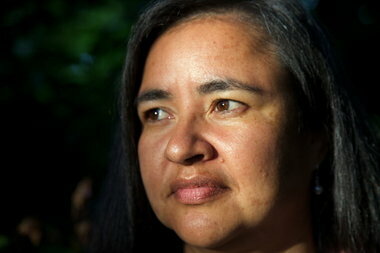 They didn’t know the girls’ birth mother, Carmenza Castro, hadn’t placed them up for adoption. And they never dreamed Astrid and Maria had been stolen and possibly sold into a system that funneled thousands of children from poor Latin American countries to rich ones, especially the United States. But the Reynoldses figured that one day, at least one of their daughters would search for their birth mother. Astrid Dabbeni, 41, finally did last December. She, her husband, Paolo Dabbeni — a former world-champion snowboarder from Italy — and their daughter, Maya, 9, vacation in Colombia about every other winter, taking a break from the rain in Southeast Portland, where they live. They swim in the ocean, bask on tropical beaches, soak up culture and give Maya, fluent in English and Italian, a chance to practice Spanish. On previous trips, Astrid hadn’t searched for Carmenza, though the notion simmered. Astrid is executive director of Adoption Mosaic, a Portland-based nonprofit she co-founded. It promotes education and open communication as tools to help everyone from adoptees to adoptive families and birth parents have positive experiences, given the special circumstances life’s handed them. Adoption Mosaic: Astrid Dabbeni is co-founder and executive director of this Portland-based nonprofit that provides support and educational resources to adoptees, adoptive parents, birth parents and others touched by adoption. Child Welfare Information Gateway:The U.S. Department of Health & Human Services offers fact sheets, pamphlets and online resources with information about searching for and reuniting with birth families. International Soundex Reunion Registry: A nonprofit, mutual-consent reunion registry for people who want to reunite with family members adoption, divorce, foster care, institutional care, abandonment or crisis. Holt International Children’s Services: On its website, this Eugene-based international adoption agency offers adoptees a discussion of 10 questions they might consider asking themselves before embarking on a search for birth parents. She knew how logistically complicated and emotionally challenging birth-parent searches could be. At one point her sister, who lives in New Mexico and who was not inclined to search, told Astrid she believed their birth mother was dead. Astrid wasn’t sure searching for a dead person was a good idea. Other questions common to adoptees bubbled up: If her mother was alive, was she living on the streets? If Astrid found her, how responsible would she feel to support her birth mother financially if she was poor? Did the woman want to be found? And, of course, why did she give up Astrid and Maria? But last summer, it was her own daughter who nudged her toward searching. As Astrid prepared to buy airline tickets for her family’s winter trip, Maya suggested that instead of the beach, they travel to Bucaramanga, the mountain city listed on adoption papers as Astrid’s birthplace. Paolo liked the idea, too. Packing her bag in December, Astrid tucked in a few items that might help, should she choose to spend part of their vacation searching: a handful of adoption documents and 1974 Colombian passport photos of her and Maria. She also emailed a woman named Yolima Palomino, who via Facebook offered to show travelers like the Dabbenis around Bucaramanga. She wanted to soften Colombia’s reputation as a dangerous, corruption-riddled country, she said, by showing visitors its warmth and wonder. They met on the Dabbenis first night in Bucaramanga. Over dinner, Astrid told Yolima she’d been adopted from Colombia 36 years earlier, and that she might try to search for her birth mother. Yolima told Astrid and Paolo how to find the government vital-records office, and she shared that her mother died when she was young. Motoya Nakamura/The Oregonian – Astrid rode a rollercoaster of emotions as she and her family searched. A clerk fired up a computer and punched in “Carmen Castro,” the birth mother’s name on Astrid’s adoption records — one so common it was like searching for a Susan Smith in the United States. He sifted through lists, looking for a woman who had two daughters, a year or two apart, in the early 1970s. The clerk directed them toward another government office with better records, and Astrid, Paolo and Maya caught a taxi there. Two workers scanned Astrid’s paperwork, disappeared into an office and emerged with a huge book of bound documents — forms, fragile with age, filled out on manual typewriters. Among them was an intake form from Oct. 23, 1974, the date Astrid and Maria entered the adoption system and landed in a Bucaramanga orphanage; 12 days later, in Massachusetts, Chris and Norm Reynolds were offered the chance to adopt them. 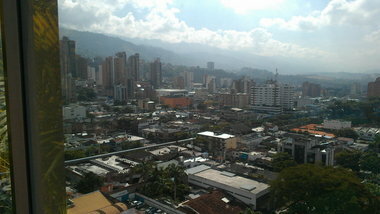 A taxi delivered them the next day to a Bucaramanga ghetto, where an armed guard stood outside the child-welfare office. Inside, the Dabbenis got bad news: The state kept adoption records dating back only 30 years. Astrid and her sister were in the system 36 years earlier. The clerk, though, made an appointment for them the next morning with the director of the department of human services, which should have had every record related to Astrid’s adoption. The director’s husband was outside in the car, its motor running. He was on his way to an orphanage where documents dating to the ’70s were stored. Did they want to ride along? Climbing in the car, Astrid, Paolo and Maya met the man they would come to call their angel, Ignacio Vargas-Zapata, the director’s husband and a retired social worker once involved in placing Colombian children up for adoption. How about placing a classified ad in the newspaper? Maybe her birth mother, or someone who knew her, would see it. The receptionist left and returned with a reporter. The paper wanted to tell Astrid’s story. Ignacio suggested that the article include his phone number, in case someone had information about Carmenza. The next afternoon Ignacio planned to show the Dabbenis around Giron, a nearby Colonial town. They expected him to swing by the hotel at 4 p.m., so Astrid was surprised when he called from the lobby at 2:45 p.m. and asked to see her. She took a deep breath and headed for the elevator. Ignacio greeted her with a smile and suggested she sit. Her story was in that morning’s newspaper, and he’d gotten calls from two women who thought they were Astrid’s and Maria’s birth mother. He didn’t think the first was a match, he told Astrid. The details she described weren’t quite right. The woman had two girls, Astrid and Mariam, rather than Maria. They’d been born in Bogotá, but she took them with her when she fled a troubled marriage, traveling to Bucaramanga. Their birthdays, the woman told him, were Sept. 2, 1970, and March 1, 1969 — not quite the birthdays Astrid and Maria knew, but close. The caller made it clear that she was savvy to Colombia’s corrupt ways, and if Ignacio was involved in a scam, she’d have none of it. She’d demand a blood test to prove whether Astrid was her daughter. “What should we do?” Astrid remembers asking him. He told her she lived in Giron, the town they already planned to visit that day. “Should we go see her?” Astrid recalls asking. They pulled up to a storefront home. Outside, flanked by a young woman and an older man, was a 64-year-old woman, nervously rubbing her hands together. 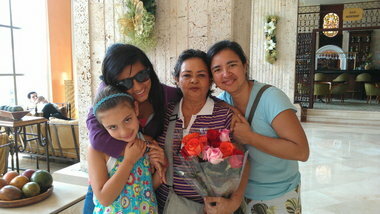 From right, Astrid Dabbeni, her birth mother Carmenza Castro, half-sister Maria Fernanda, and daughter, Maya. Carmenza was shorter than Astrid’s 5-feet-2 3/4 and thicker than the 41-year-old. Her hair was short and Astrid’s long. But she was the spitting image of her daughter. Carmenza, her second husband and 18-year-old daughter, Maria Fernanda, invited them in to their small, spare home, where Astrid did something that simply felt right. She reached out her arms and hugged Carmenza. The woman let out a sound unlike anything Astrid had heard — a howling cry bottled up for 36 years. Stories filled the evening. Even through the filter of translation, some sounded familiar to Astrid; Maria, a little older with a little sharper memory of their early childhood, had shared them with her growing up. Carmenza described Astrid’s and Maria’s father, their stormy relationship, her concern for the girls’ safety and her own, their escape, life on and off the streets of Bucaramanga and the girls’ disappearance. She explained why she feared going to police, and shared details of hiring a private investigator to search for her lost daughters. When the search failed, she told Astrid, she suffered a breakdown and was institutionalized for a year. Carmenza never divorced the girls’ father and doesn’t know if he’s alive or dead. Yet, she later remarried — at least in the church, if not legally, as Astrid understands it — the man who close to 40 years ago saw her living in a park with her infant daughters, and gave her money to rent a room. Together, they had a daughter, Astrid’s and Maria’s half-sister. Everyone in her life knew stories about the daughter she lost, which is why, when a neighbor saw the newspaper with the girls’ childhood pictures, she immediately called Carmenza. Though they agreed to meet again the next day, Carmenza didn’t want the Dabbenis to leave. She was afraid, she told Astrid, she’d never see her again. Maria, always her sister’s protector, immediately urged caution. Astrid emailed Maria a photo of Carmenza and they spoke again. Astrid, Paolo and Maya returned to Carmenza’s the next day, the final day of their vacation. She fixed them lunch. The women found a place to have their blood tested, confirming their mother-daughter bond. And Astrid dialed a number, passing the phone to Carmeza. Maria DelValle, her other long-lost daughter, was on the other end. When Chris and Norm Reynolds, Astrid’s and Maria’s adoptive parents, heard the news, they were excited. So was Tony, the son they had after adopting the girls. “I said, ‘You tell Carmenza that she raised two wonderful little girls, and we were happy we could help raise them, and that now we have a bigger family,'” Chris Reynolds recalls telling Astrid. 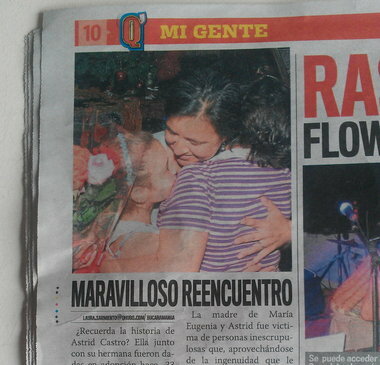 Astrid found her birth mother with the help of a newspaper, which also reported on their reunion. The Dabbenis returned to Portland carrying photos, stories and a newfound understanding of the ripple effect that a successful birth-parent search can have. Maya has a new grandmother and aunt; Paolo, a new mother-in-law and sister-in-law. Astrid says her brother, Tony, has spent time considering what to call Carmenza when he meets her. And Maria, Astrid says, is still contemplating when she’ll feel ready to meet the mother she lost so long ago. Even Astrid’s joy mixes with a stew of emotions, many of which she plans to share in future Adoption Mosaic workshops. Learning that Carmenza hadn’t willingly given her and Maria up shook her to the core. Astrid immediately felt guilty, she says, that she hadn’t searched sooner. Astrid’s fears of an impoverished birth mother asking her U.S.-bred daughter for financial support, and the complications that might infuse into their relationship and her own family, were unfounded. Carmenza asked for nothing. Paolo, though, suggested they help by permanently renting the apartment above Carmenza’s house; they can stay there when they visit. Carmenza accepted. For Astrid, that requires learning Spanish. She’s works on it almost every day, picking up the phone and dialing Carmenza. We have renewed and improved our Adoption Readiness workshop to be more helpful and relevant to our families. At Adoption Mosaic, we believe that successful adoptive parenting comes from being prepared and having the knowledge to make informed decisions. Our new Adoption Readiness series provides unbiased, straight- forward information in a safe conﬁdential environment, providing parents with a sound foundation for building their adoptive families. Is adoption right for me? How much does it cost? The Adoption Information Day event is hosted by Adoption Mosaic with support from Legacy Health Systems, NAFA and COAA.